The book discusses contemporary metaphysics of science and deals with the central question which ontology fits best with our knowledge of the world. Two competing positions in todays metaphysics of science are analysed: Humeanism and dispositionalism. There are physical and metaphysical arguments to show that orthodox Humeanism is in trouble. The unorthodox metaphysical turn consists in taking the fundamental properties to be relations rather than intrinsic properties. 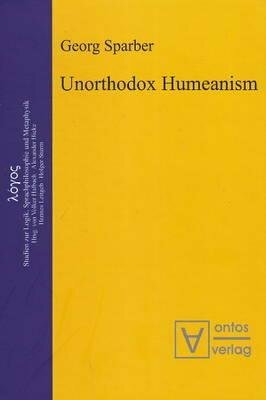 The book spells out in detail what an unorthodox version of Humeanism amounts to and shows that in turning unorthodox Humeanism off ers a competitive metaphysical framework for science without commitment to irreducible causation. Georg Sparber has received his Ph.D. at the University of Lausanne (Switerland). He is interested in the metaphysics of science and nature.